In any clinic be it a Dental, Veterinary, Tattoo, GP or Hospital, cross infection control is of big interest for the well-being of those employed to be there and the patients. Standard cross infection control protocols are a legal matter too. Cross Infection or Contamination Control is a very lengthy topic and there is so much to do and follow to ensure a safe environment. Either are fine but sensor bins are easier to operate and less likely to break. It so happens that we sell sensor bins at sensorbin.co.uk! Domestic waste that does NOT contain sharps, medicinal waste or infectious materials. Perhaps for a reception area or waiting room. All listed here requires special Sharp Bins. 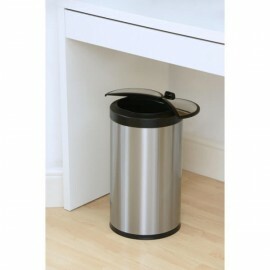 The biggest of the Caravel Series, this 80 litre big bin is the ideal combination of wide space for waste disposal and an innovative design which goes along well with any decoration. 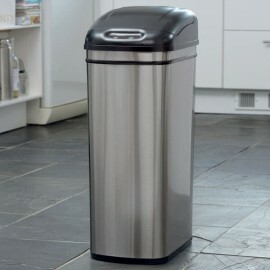 An elegant and easier waste management, perfect for any kitchen and workplace. With just the right capacity, this elegant 50 litre sensor bin gives you a completely hands-free waste disposal experience. It helps to reduce the cross contamination while looking stylish and minimalist, therefore going well with any decoration. Compact and narrow but still wide and with the right capacity. 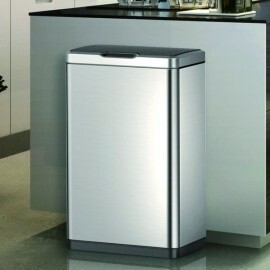 This 20+20L double kitchen bin contains two inner compartments for waste and recycling disposal. Ideal for any kitchen, with its smart design and automatic motion sensor makes everything easier and cleaner. Proudly introducing the amazing Kitchen Bin Recycling Compartment. 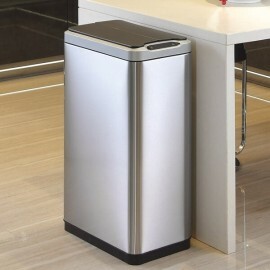 This pleasant to the eye sensor bin features two recycling compartments - 30L and 20L. With stainless steel finishes, it looks stylish no matter where you place it. 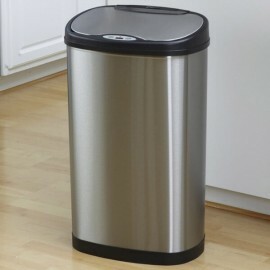 Elegantly designed flat-back bin that will bring you just the right capacity inside a minimalist and innovative design with the last on motion sensor technology. 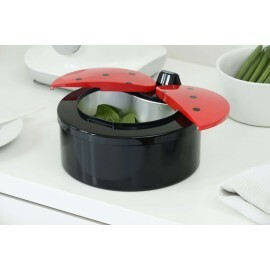 With its ladybird wings style lid, it will go perfectly wherever you place it.